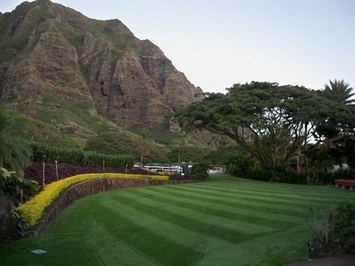 no fertilizer, no herbicides, no pesticides and no maintenance crew necessary! NyLawn looks natural and provides a soft, safe walking area with our expert installation for your guests, residents and customers. 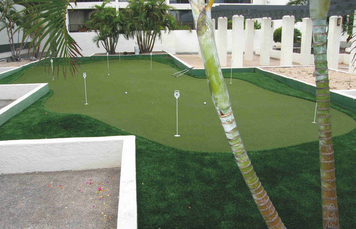 One of Oahu's luxury condominiums featuring a 4000 square foot, 6 "fairway" - 12 hole putting course along with an 800 square foot professional practice putting green. 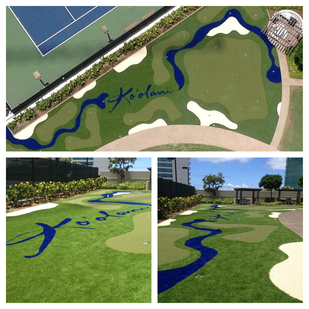 Residents of all levels of play, including non-golfers, love the beauty of green with the designed water and sand features that include the logo in the design. 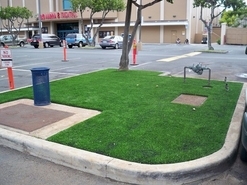 Maintaining this small area in the parking lot was costly and hard with alot of car and customer traffic until NyLawn's synthetic lawn was installed! With NyLawn's professional artificial turf installation, this area now needs no crew to mow or fertilize and always looks great! This luau area was worn and usually muddy on the rainy windward side of Oahu. it welcomes plenty of visitors enjoying it! in Campbell Industrial Park needed for this 6000 foot common area. giving their business front a professional look all the time. no maintenance and is always ready for residents to enjoy. 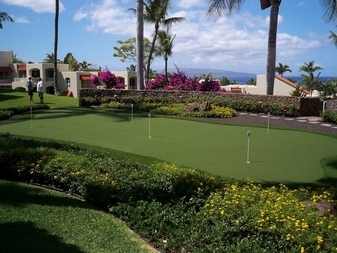 A synthetic turf putting green for Palms at Wailea residents allows them to enjoy a bit of golf or practice before hitting the golf course. It also provides maintenance free recreation and a social ascpect for this resort like community. The playground area was worn, making grass hard to grow and was mosty dirt. where kids can fall of a soft clean surface withour getting scrapes or dirty. 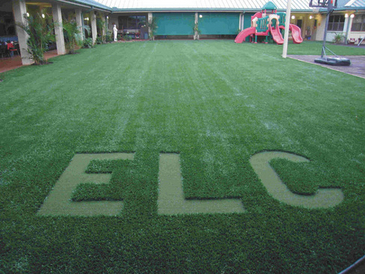 The synthetic turf was expaned to the entire play area creating a sports filed too.